Beverly Olson – 32 years of service. | "Northern Crossings"
Beverly Olson – 32 years of service. 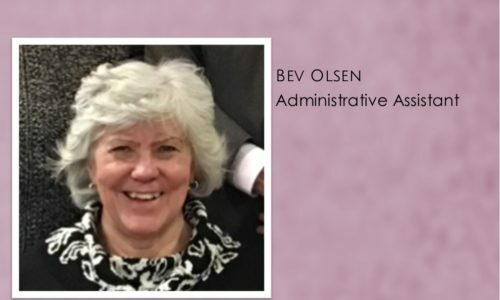 Bev Olsen is the Administrative Assistant for the Minnesota North District. She started in the Minnesota North District Office on December 2, 1986. She has served with all the District Presidents except the first one, A. C. Seltz. The list includes: August Mennicke, Richard Guehna, David Strohschein (Interim), David Bode, and Don Fondow. She has worked with the EducationExecutives, Parish Life and Nurture Facilitators (PLaN) and has been the District President’s Administrative Assistant for 13 years. S he has overseen Student Financial Aid, Continuing Education, PIF’s and SET’s (pastor information used in calling), transfers in and out, Ordination and Installation Documents, Minutes and communications to and from the District President and the Board of Directors. She has also been very helpful in communication for Project 24 and the Minnesota North and North Dakota District partnership. We pray that Bev and her husband Glenn will have a wonderful retirement and we thank her for her support for Project 24 and everything else. God bless and God speed. Mercy and the “little one”.